There’s a mansion on the hill! Corvus Fittings was conceived while spending many days touring around the backcountry so we think it’s more than fitting (oh, bad pun) that we should move our headquarters there. 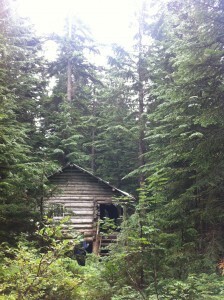 While on a recent hike we think we’ve found an ideal new office. Tough commute but darn worth it.